I have been in Europe for exactly two weeks as of today. So far my experience has been pretty amazing. When we first arrived in Bordeaux, Evie and I had pretty terrible luck in everything we did, from finding the school to figuring out how the tram worked. It was definitely a rough start but once we got into a routine, things began to get better. We also discovered that we were actually taking an MBA class, so that was kind of terrifying too. 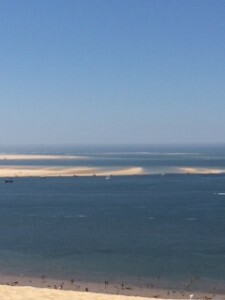 During our first week we toured Bordeaux, went wine tasting, tried out some cool restaurants, shopped (a lot), went to the beach and started our class. Needless to say we have been very busy. 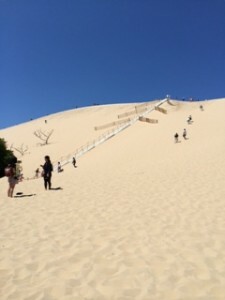 We took a train to visit the Dune du Pilat, the tallest sand dune in Europe. The hike to the top was challenging but the view was worth it. 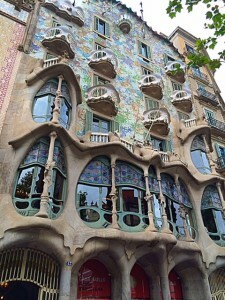 This past weekend Evie, Megan and myself went to Barcelona, Spain. It was absolutely amazing. The city is so cool and has so much to offer. The architecture was probably my favorite part though. 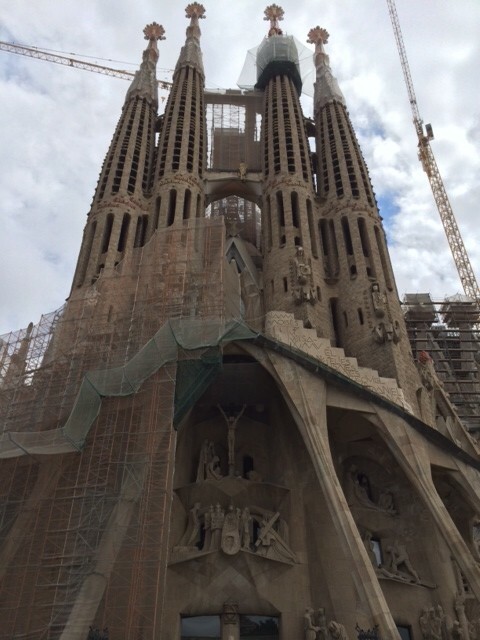 Sagrada Família was under construction so we couldn’t see it fully, but it was still an amazing sight. I could not believe how giant it was. I am excited to see what the rest of my trip has in store! This entry was posted in Uncategorized by lmwill27. Bookmark the permalink.